We’re excited to cosponsor two events with the Disruptive Technologists! Details on the first below. We’ll follow with an all-day event at Brooklyn Law on November 11 with panels providing a more in depth look at a wide variety of new technologies to be followed with hackathons to fill gaps in their realization. The financial crisis of 2008 was an inflection point where Mayor Bloomberg was widely credited for reinventing the traditional Wall Street Economy through technology entrepreneurship. Yet some criticized his success as having been more of a wealth creation model for a narrow section of the City. Are we now at a second inflation point? At the recent press conference in Dumbo to announce Digital.NYC, the City’s new hub for tech and startups, Mayor Bill De Blasio talked about his new technology initiatives. So this brings up the question: Will things get worse or will they get better? What will happen to the gains made by the Bloomberg Administration? Or will there not even be a new inflection point, and things will remain the same? What does it take to make a successful tech ecosystem? Disruptive Technologists is an organization dedicated to finding out what makes Disrupters tick – what they are thinking, how they do what they do and then inspire, promote, support, mentor and advise in order to future Disruption in NYC through tech. 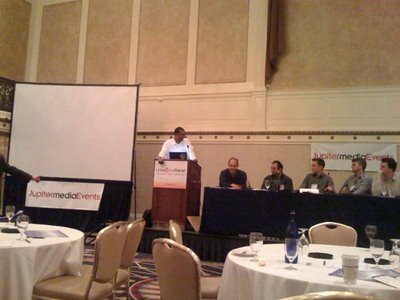 We do this through the weekly publication DisruptiveTechnologists.com, monthly panels through our organization Digital Technologists in NYC and through our monthly newsletter. We also report on and cover new Disrupters and attend the hottest events in order to spread their Disruptive words. We offer an intimate look at this new breed of tech entrepreneurs and their innovative products and services. Join us for the event to hear from some of the most qualified, dedicated, and passionate Disrupters in the business. Fellows of the hackNY program, which placed students with NYC tech firms over the summer, demonstrate the results of their efforts at the Courant Institute NYU on Jul 30 2010. Support from fiscal sponsor ISOC-NY with funding from the Kauffman Foundation. 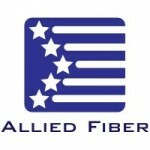 At the second of the Internet Society NY Chapter’s meetings with Hunter Newby, CEO of Allied Fiber, he presented an overview of the company’s plan to encircle the entire USA with a dark fiber ring with carrier neutral access at any point. Allied Fiber’s simple yet forward-thinking “real estate” approach to infrastructure provides de facto the structural separation which has, in other countries, been a boon to ISP competition, giving users access to cheap bandwidth and making network neutrality a moot point. Runs just about an hour. The subsequent Q&A may be made available at a later date. Recently, senior staff at the Internet Society engaged in a scenario planning exercise to reveal plausible courses of events that could impact the health of the Internet in the future. The results of the exercise were subsequently reviewed with the Internet Society Board of Trustees who have, in turn, thrown it to the chapters for comment. Singularity University has posted on YouTube the first two videos of lecturers in the recent Graduate Studies Program at NASA Ames. Vint Cerf gives a comprehensive overview of the state of the Internet today and new issues, including IPv6, the need for cloud computing standards, the growing Asian prominence online, and the interplanetary Internet. Bob Metcalfe lectures on the “Enernet,” applying the Internet model to energy. On September 22 2009 ISOC Chapters held an E-meeting to discuss two new briefings on IPv6 deployment. Amongst the conclusions were that, for competitive advantage and business continuity, stakeholders – rather than sitting on their hands waiting for a ‘killer app’ or an IPv4 ‘crisis’ – need to institute a robust policy of factoring IPv6 deployment into network ‘refresh’ cycles. Chapters can help by raising awareness. Governments, in particular, can be prevailed upon to assist the process by leading by example. Addressing is as important as broadband, both are important enablers of innovation and growth. Mar 17 2009 Berkman Center: David G. Post, Stern Professor of Law at the Beasley School of Law at Temple University, discusses questions raised by his recently-published book, In Search of Jefferson’s Moose: Notes on the State of Cyberspace (Oxford), which re-creates Jeffersonâ€™s encyclopedia of the New World (“Notes on the State of Virginia,” 1786), but this time for cyberspace. Video below. 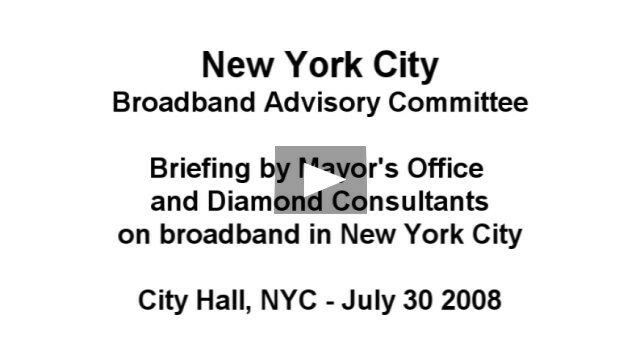 steps – to the NYC Broadband Advisory Committee at City Hall on July 30 2008. Afterwards members of the Committee and the public made comments. The ICANN board voted unanimously on Thursday to approve plans to add more generic Top Level Domains (gTLDs) to the Internet’s naming system. They also voted to put on a fast track the implementation of a limited number of Internationalized (non-ASCII) country code TLDs (IDN ccTLDs). The vote is the result of a Policy Development process that was initiated in 2005. Final implementation proposals will be presented to the board in Cairo in December. Dawa Riley has posted up her notes of the panel on the Semantic Web at the LinkedData Conference 2008, held last week in NYC. How can we monetize the semantic web? Is the semantic web relevant and ready for what we’re doing today? The importance of interoperability and standards. Practical insights into the semantic web. What technologies and products are available today?